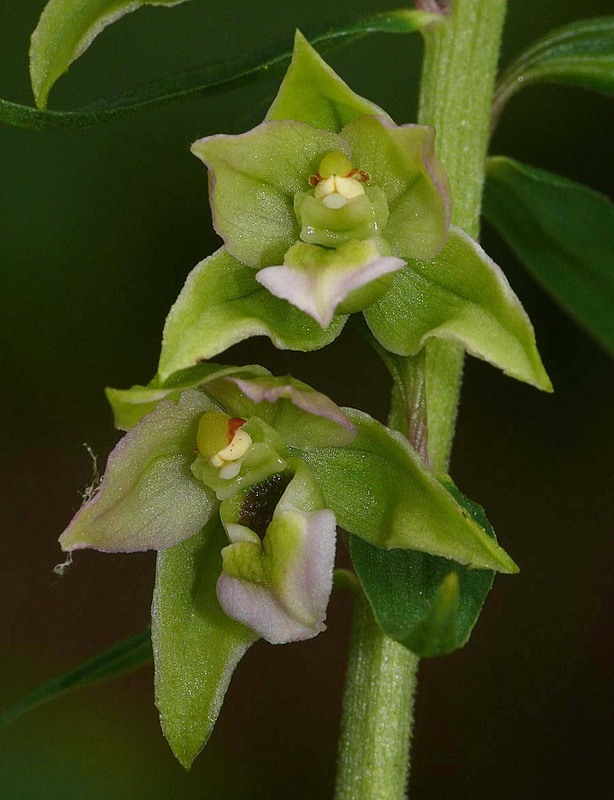 This species was first described from Baden-Wurttemberg, Germany by Crantz in 1753 and is arguably the commonest and most familiar of the European Epipactis, widely known as the Broad Leaved Helleborine. 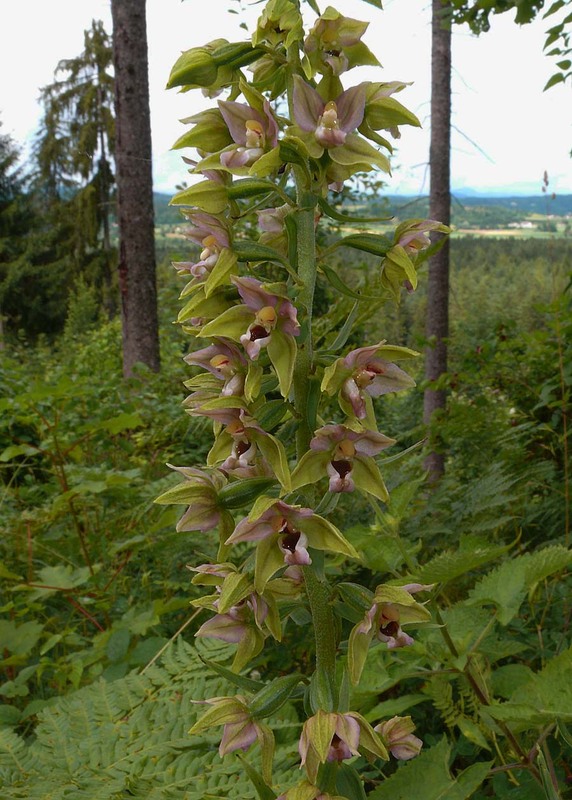 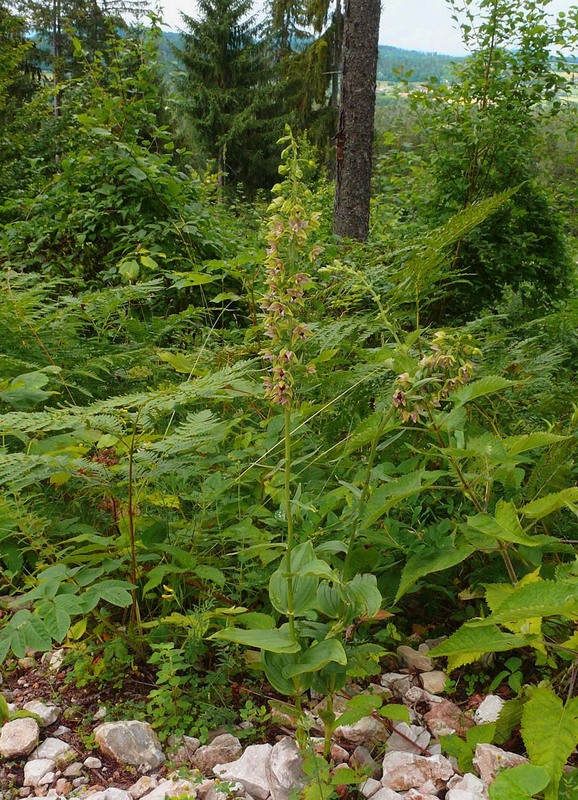 E. helleborine has a huge distribution throughout Europe and Asia, occurring as far east as Siberia and the Himalayas. 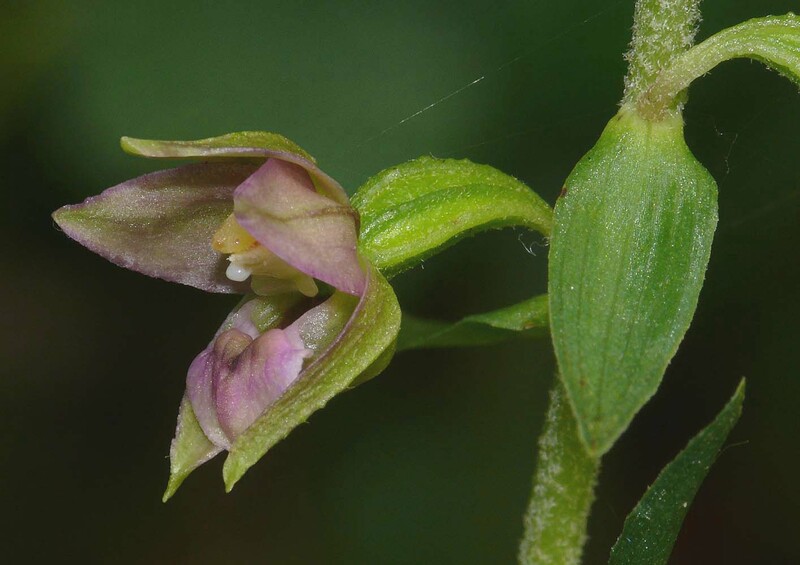 It reaches Scandinavia in the north and can be found along the coasts of the Mediterranean and Aegean to the south, an area of distribution often questioned due to misidentification with other similar Epipactis species. 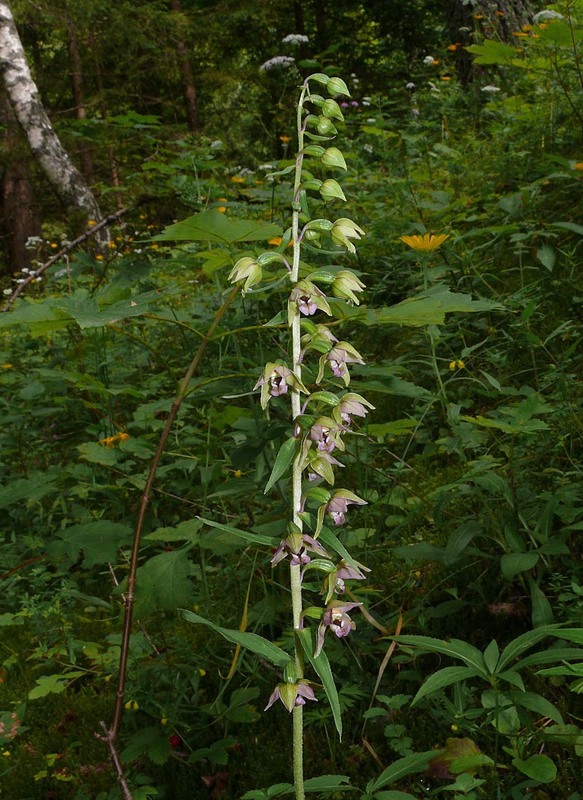 In the late 19th century it was introduced to the United States where it has spread so dramatically as to now be regarded a nuisance species. 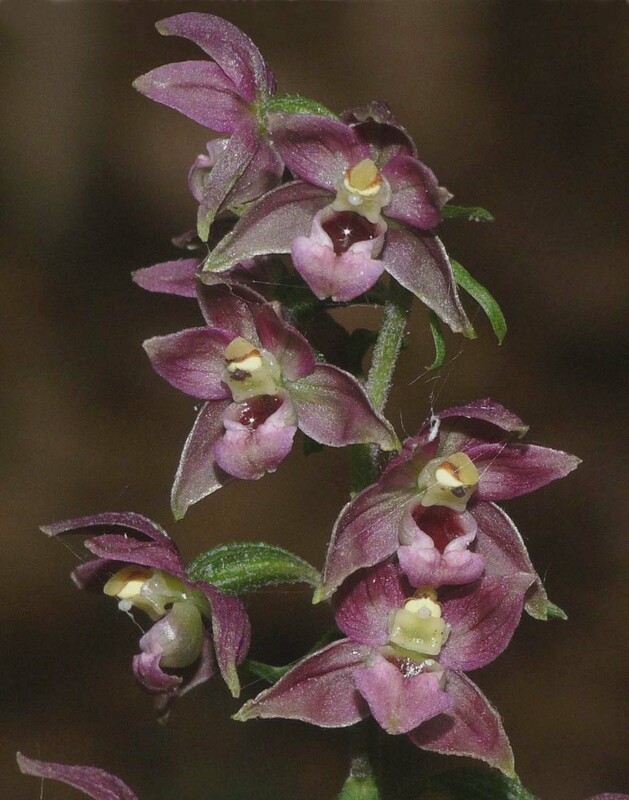 It's an orchid that tolerates a wide range of differing climatic and soil conditions and has acquired a justified reputation as a species that can turn up in almost any type of habitat. 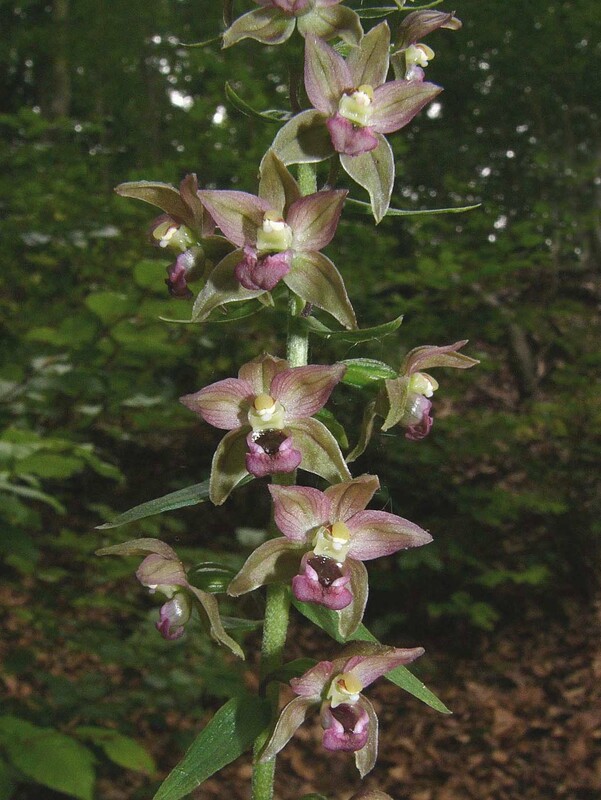 As a consequence of both this and a natural predisposition for variation, E. helleborine can easily be mistaken for other members of the genus. 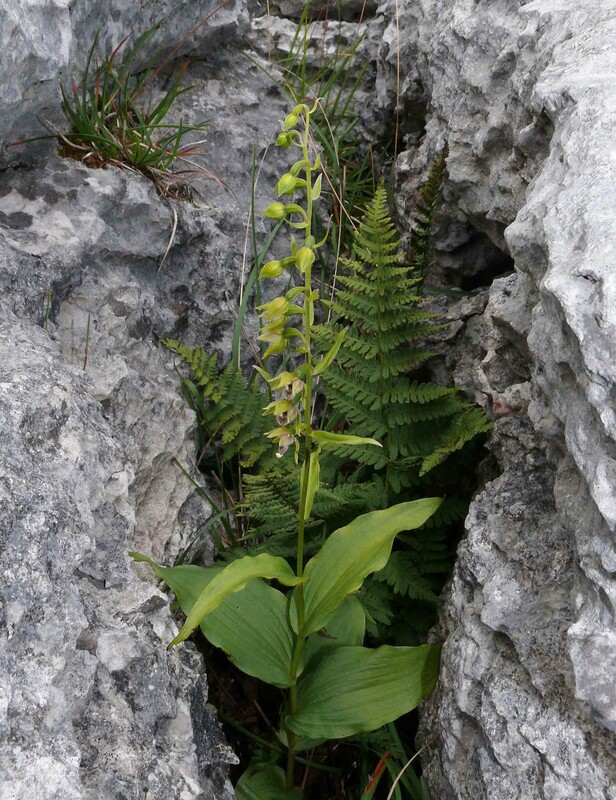 Its relationship with E. neerlandica in the dunes of South Wales has been the subject of ongoing study for some years and it now seems clear that natural intermediates are created by the available light position on the dune. 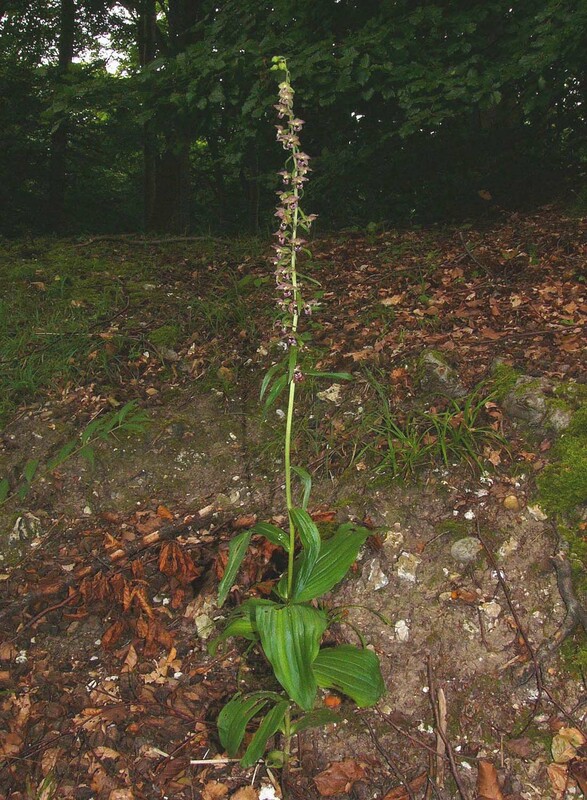 It is probable however that these plants will ultimately be reclassified as E. helleborine v neerlandica. 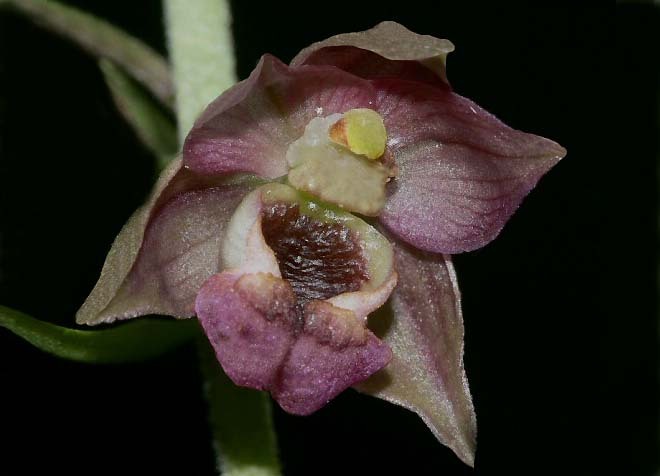 E. helleborine usually has a heart shaped lip with the tip of the epichile recurving tightly and the hypochile reddish to dark brown. 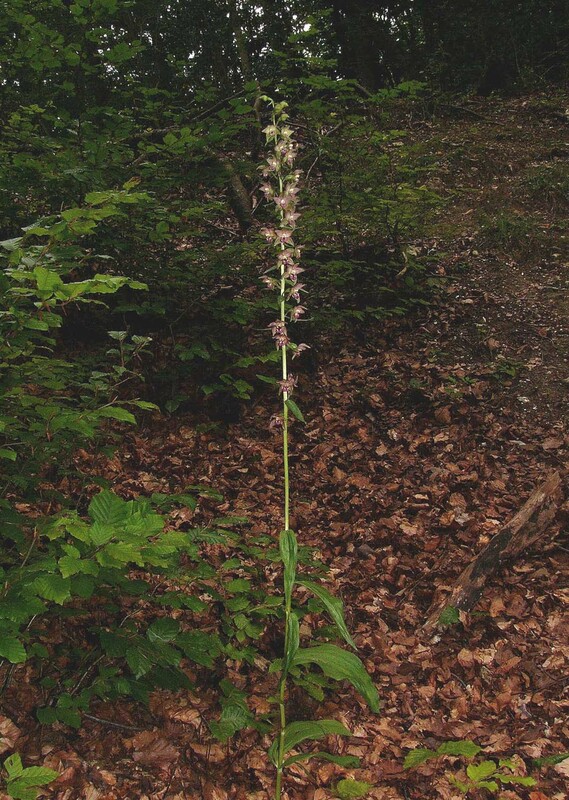 The leaves are broad and blunt and generally held horizontally from the stem, quite unlike many other members of the group which carry them in a more upright position. 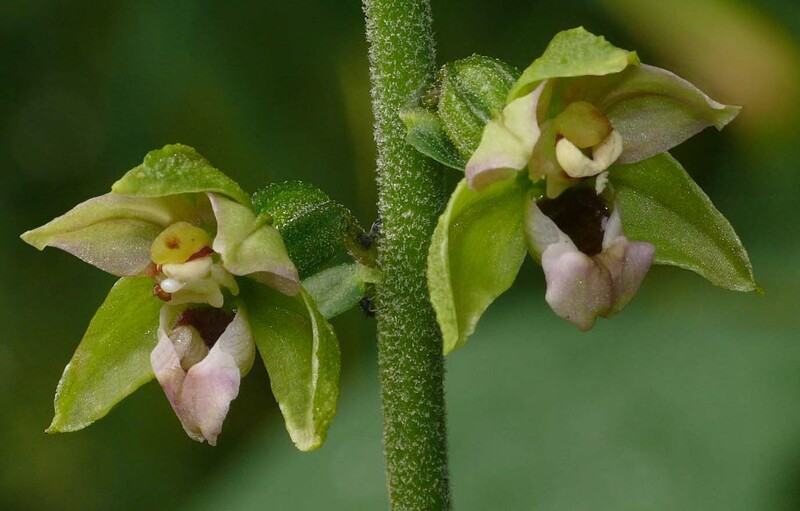 Flower colouration is highly variable, ranging from deep violet to the palest green with no red pigment whatsoever (E. viridiflora). 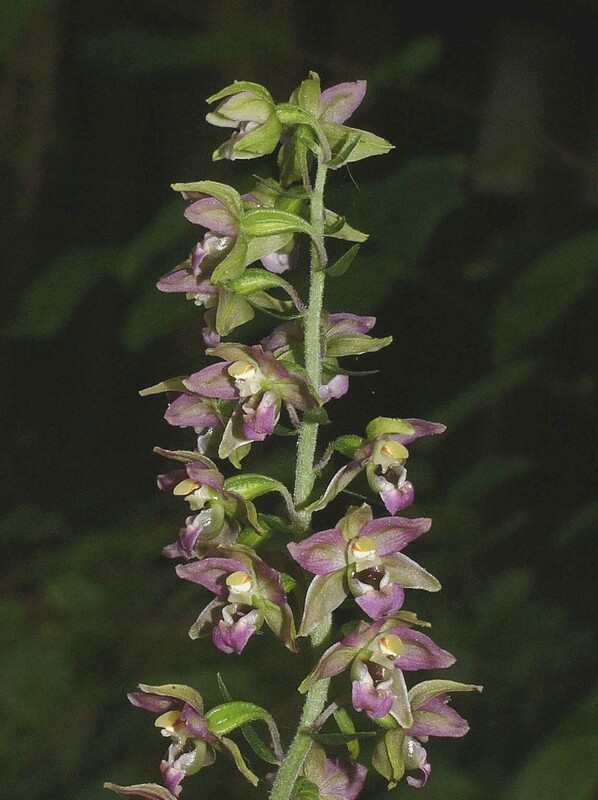 The flowering period extends from June to August depending on location and altitude.